💎 EOS/USD Price Prediction — $5 Was Not Broken: Do Bulls Have Power for Revival? 🚀 TOP 3 Price Predictions: Bitcoin (BTC), Ethereum (ETH), Ripple (XRP) — Has The Bull Run Followed by A Pull Back? 💎 Bitcoin Price Is Heading to Its Next $7,000 Target! When Will BTC Break Resistance? Cardano has experienced huge growth in recent months. The 8th cryptocurrency by market cap, it has survived through the hard times without losing trust from its crypto community. The previous Cardano price record was $1.22 – will it hit this mark again this year? Let’s check out the information provided by a few authoritative sources. There is a high probability that Cardano will be listed on Coinbase (one of the major cryptocurrency exchange platforms) in the second quarter of 2019. Why so? Because Coinbase is looking for highly decentralized cryptos – this means ADA. According to Duncan Coutts, Director of Engineering at IOHK on the Cardano project, their Shelley update will transfer the system into a decentralized autonomous mode. Shelley’s release will take place in Q1 2019, and it will complete a huge step towards achieving its Coinbase listing. — Coinbase (@coinbase) 13 июля 2018 г. If that happens, Cardano will definitely thrive. Experts say it might grow to $1.5; one of them is Pedro Bernardo, an author from oracletimes.com. He believes that $1.5 by the end of 2019 is a realistic goal with or without Coinbase. There is one more crucial factor to account for: Cardano plans to install and run ADA ATMs in Japan. This country is among the global leaders in blockchain acceptance. 84% of Japanese are aware of what Bitcoin is, and people are not afraid of new technology. Cardano developers are very tech-savvy. The platform is open-source and is greatly supported by the community. Their 5-year Cardano prediction is $10. Sounds tempting. However, the technological analysis doesn’t seem to be so bright. For example, the technical analysis from longforecast.com states that Cardano will cost $0.010 by the end of this year. It will lose value, approximately by 10-20% each month. 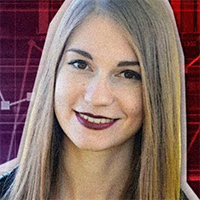 The Cardano price prediction 2019 from Walletinvestor.com is $0.029. It also means ADA will only lose its cost. According to the Crypto Town website, the Cardano short-term price prediction is $200, which means it will cost $0.06 in December 2019. This prediction seems to be quite conservative. Coinpredictor.io uses an event-based prediction algorithm, according to which ADA will fall by 100% during the following 4 weeks, and its cost should be $0.01332. Some Internet users have absurd suggestions. For example, one blogger from Us Lifted named Martin believes that the ADA value might be $72.30 when 2019 ends. Jiomobilephone1500 also claims that Cardano might reach $89.35 within 12 months. Cardano short-term predictions are still unclear, so all investors can do is hold their breath and wait. Updates are coming, and Shelley’s release can trigger the process of ADA growth down the road. 🚀 EOS/USD Price Prediction — $5 Was Not Broken: Do Bulls Have Power for Revival? 🚀 TOP 3 Price Predictions: Bitcoin (BTC), Ethereum (ETH), Ripple (XRP) — Has The Bull Run Followed by A Pull Back? 🔥 Bitcoin Price Is Heading to Its Next $7,000 Target! When Will BTC Break Resistance?